Listen to the music. The Universe’s rhythms will guide you. The Universe’s rhythms will guide you. This card is about receptivity but also about sensitivity – how to discern what’s worth bothering with. We can’t possibly tune into everything coming our way! Each day we’re bombarded with more information than a human brain can possibly process. Discernment isn’t automatic – we don’t always hear clearly what’s being said or take meaningful news into our hearts and minds slowly, powerfully, in a way that “sticks.” Often before we’ve absorbed one new idea, the relentless rush has brought us twenty more. We become de-sensitized whenever we’re overwhelmed physically, emotionally, and mentally. And when we’re de-sensitized, we shut down our ability to receive. Being receptive means having the space, the capacity, and the emptiness to take in something new. Without quiet time, meditation, and stillness, it may be impossible for us to “have enough of ourselves” to make room for more. 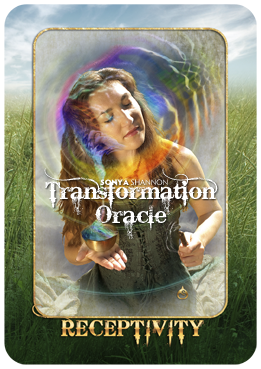 The question to ask if you get this card is, “How can I open my mind to a helpful new idea today?” Let yourself remain humble and “teachable” by using quiet meditation to protect yourself from overwhelm. Our breathing, heartbeat, and the blood coursing through our bodies is the original “music” of life that helps us tune into the larger rhythms of the cosmos. Make sure you have time for this and other sacred music to stay receptive to Source. If this card appears upside-down, it may be that your old idea still seems like the only valid possibility. The question to ask yourself is, “How is that idea working out for me today?” There may be another area such as heart, body, or spirit, where you may need to do some work first before opening your mind to new inspiration. Look to the other cards in your spread to see which elements hold the key. Remember, fire=spirit, earth=body, water=heart. This card is in air=mind.